260113 2013 Munster GAA McGrath Football Final Tipperary v Kerry . 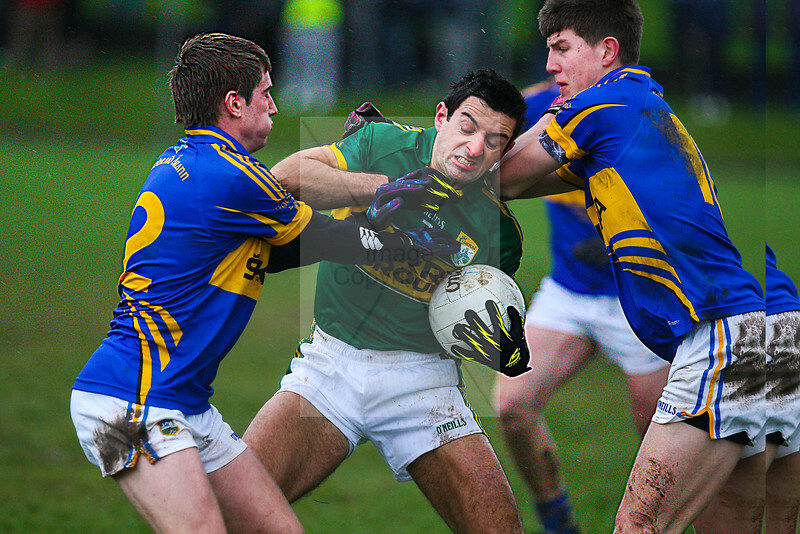 Tipperary's Bill Maher and Stephen O'Brien close down Kerry's Aidan O'Mahoney during Saturday's McGrath Cup Final . Photo Andy Jay.